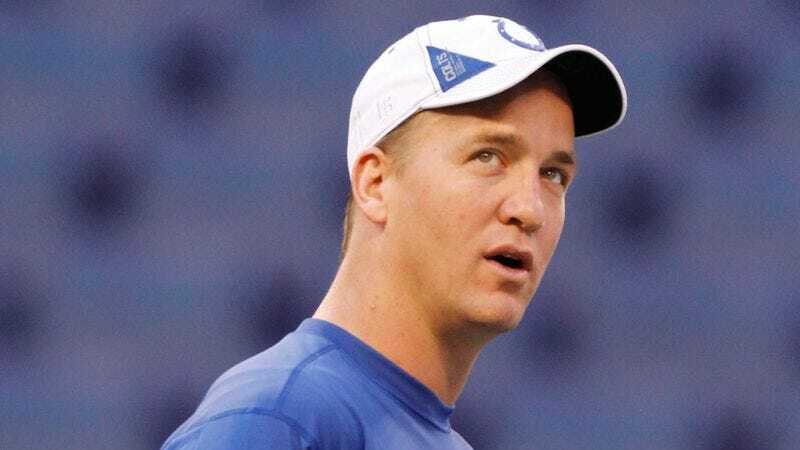 INDIANAPOLIS—After months of preparing for the birth of the new Mannings, Indianapolis Colts quarterback Peyton Manning announced Tuesday he will carefully assess his newborn twins in the coming weeks before he names one of his offspring as the starting child. "I'm not going to rush into this and just give it to Mosely because she has the better build or Marshall because he’s a more mobile baby. They're going to have to earn the job, like I did with my dad," said Manning, who plans to evaluate the children in a series of progressively more challenging drills designed to simulate the actual stress and pressure of being a Manning family member. "This is a process. And even when I choose the starter, there are no guarantees that a kid is going to stay the starting spot unless they prove they deserve it every day." Despite his early optimism for the family's new acquisitions, however, Manning admitted being irritated that the twins keep falling asleep when he reads to them from his playbook.